The daily work of Europatat is conducted by the secretariat of the Association based in Brussels. With over 15 year’s career in Brussels, Raquel has extensive experience in European affairs. In her position, she represents and defends the interest of the sector at the European level and other international settings. 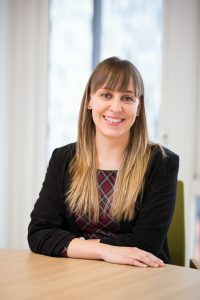 Raquel is also currently the European Delegate of the European RUCIP Committee, the Rules and Practices of the Inter-European Trade in Potatoes and the Rules governing Expert Assessments and Arbitration. 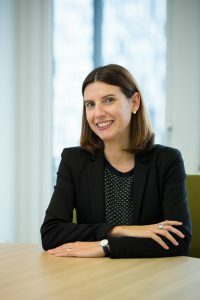 She holds a Law Degree from the University of Salamanca (Spain), a Masters Degree in European Legal Studies from the University of Leeds (UK), and an Executive Master in International Associations Management by Solvay Brussels School (BE). Berta holds a Journalism Degree from the University of Valladolid in Spain, where she is originally from, and she has a strong work experience in radio and European communications related with agricultural topics. Berta takes care of the internal and external communications, media relations and visual identity of Europatat. Together with the Secretary General she also supports the association’s public affairs and policy objectives. The Association’s collaboration with the fresh fruit & vegetable sector, results in a permanently available multilingual staff with various competences. The staff has built up a broad knowledge base and keeps in close touch with various European institutions, such as the European Commission and the European Parliament.